On Saturday, March 12th, Senior Moments was given a special award for Playwriting at the American Association of Community Theater Region 7 finals at the Bas Bleu Theater in Fort Collins, Colorado. The play’s lead actor, Timothy Englert, won the Best Actor Award for the festival. 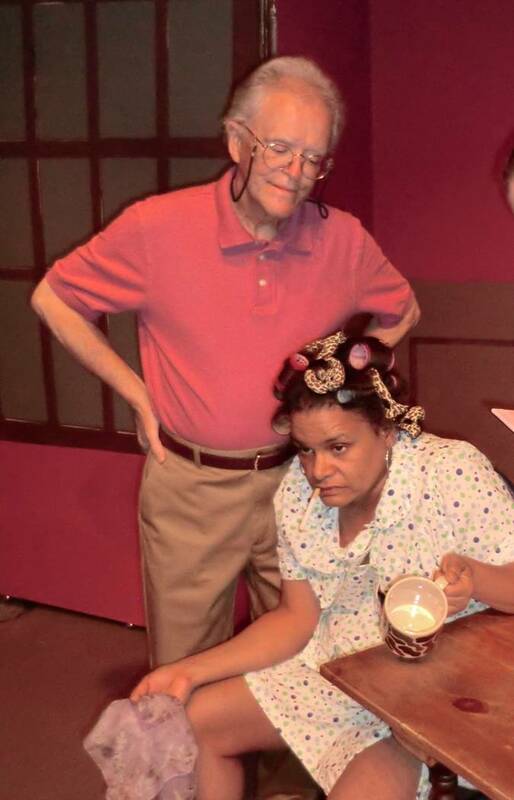 Senior Moments was presented at the festival by Coal Creek Community Theater of Louisville, Colorado, having placed in the Colorado state AACT competition last August. Congratulations to Tim, and thank you to Lynn Fleming and all the other wonderful folks at Coal Creek for having faith in the play and doing all that was required to make this happen. On Monday, March 14th, I’m off to San Juan Capistrano, California for the opening of Getting Betta at the Camino Real Playhouse. 1. 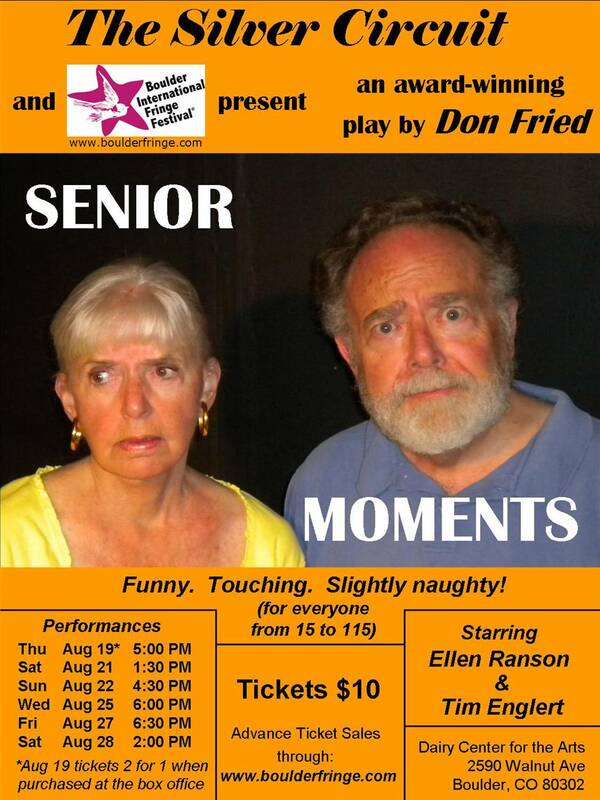 Senior Moments is going to be presented at the FronteraFest Long Fringe in Austin, Texas, January 22nd – 30th. Tim Englert, who has been the male role in all the U.S. productions of Senor Moments so far and who recently moved to Austin, will be joined by fantastic Austin-based actor Lana Dieterich. The production is being directed by long-time Austin actor/director, Douglas Taylor. 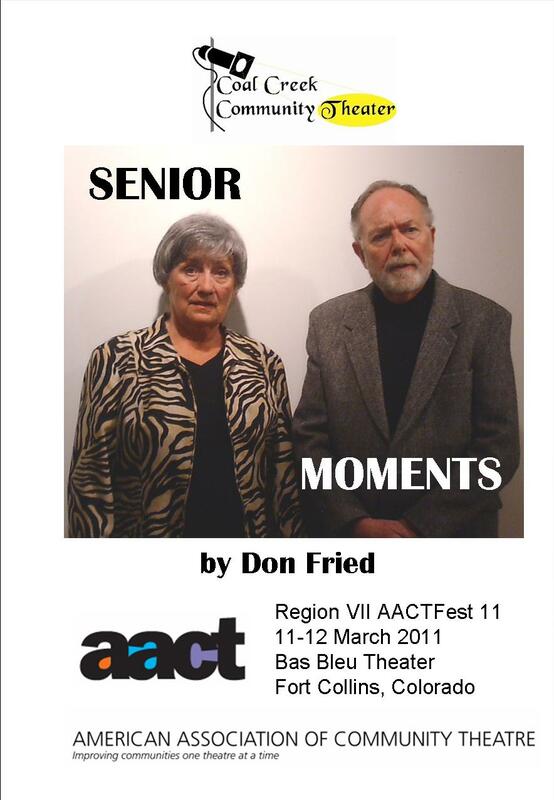 Senior Moments will be presented at the AACT (American Association of Community Theaters) Regional Finals at the Bas Bleu Theatre, Fort Collins, Colorado, March 11th or 12th. 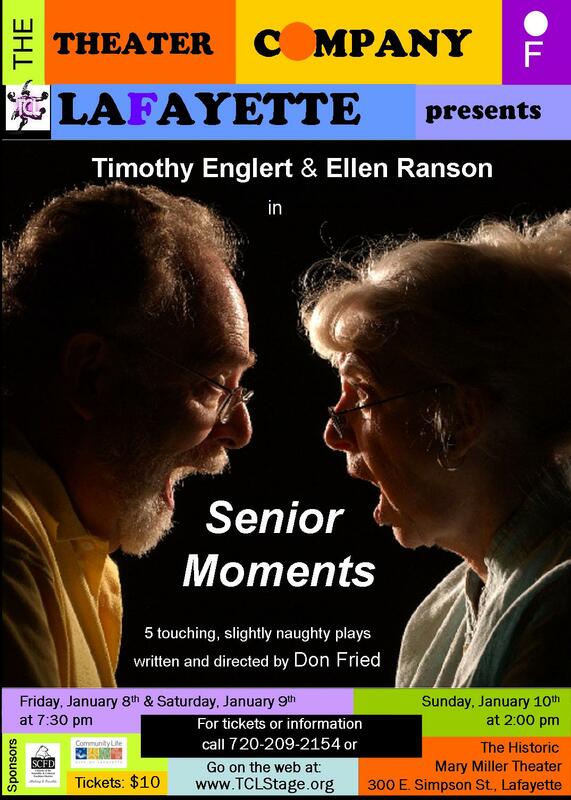 Senior Moments is being published by ArtAge, a publisher that specializes in plays suitable for senior actors and audiences. It will be available in the next few months. 2. 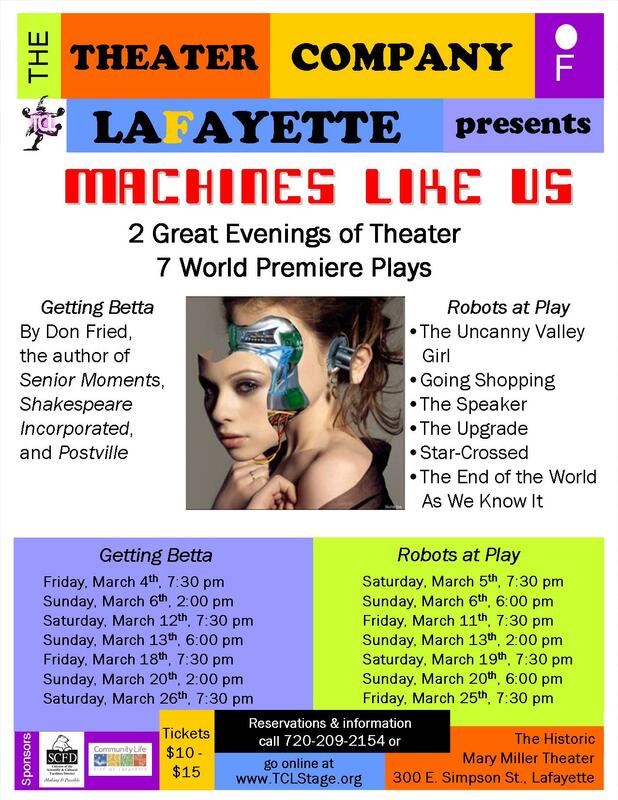 Getting Betta will be premiering at the Theater Company of Lafayette (Colorado), March 4th – 26th. It will be performed in repertory with Robots Like Us (6 new plays commissioned by TCL) in the Machines Like Us play festival. 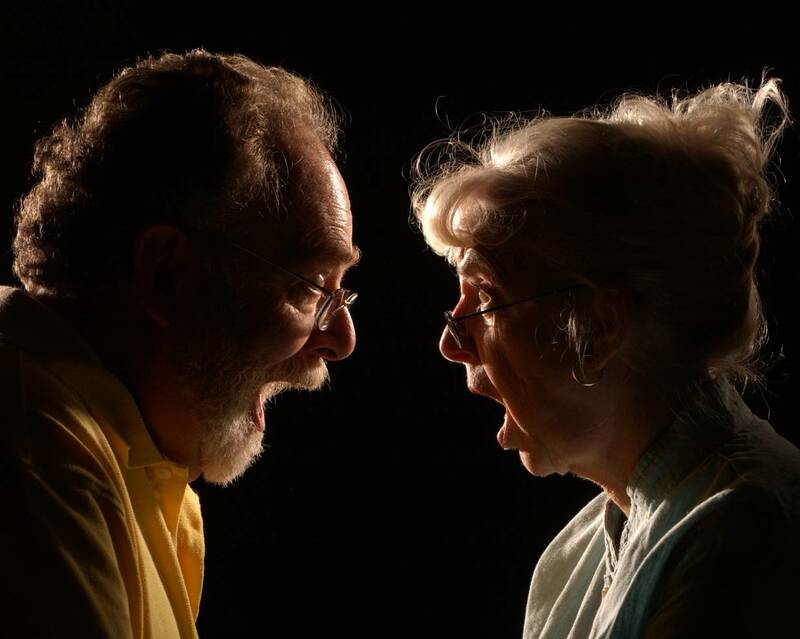 Getting Betta will be performed March 18th – 27th at the Camino Real Playhouse in San Juan Capistrano, California. 3. Bodice Ripper will have a public reading at the Theater Company of Lafayette April 8th. The play will be produced by the Second Skin Theatre Company in London, England, some time during 2011. I’ll be moving to London this summer to work on Bodice Ripper and productions of other of my plays in which Second Skin is interested. If things work out, I could be there for a couple of years. Two years ago I couldn’t get anyone to read the scripts of my plays. (Not even my wife, Rhonda!) Life just keeps getting betta and betta.